The Niche stem cell blog today picked up on the the Nature coverage of the California stem cell agency and briefly discussed the conflict of issues that are built -- by law -- into the $3 billion government program. "I’ve asked CIRM officials about this before. I’m told that such strains are indeed difficult to balance, but done right they are a source of strength. I’ve asked non-CIRM experts about it too. They tell me it’s easy to make bad investments in hot new fields, but good ideas often wither early because they can’t prove their worth. And I've asked everyone whether CIRM’s funds are a good use of money, and they say what journalists hate to hear: time will tell." The California stem cell agency is edging closer to creation of a roughly $500 million biotech loan program that promises to help stem cell firms survive the financial "valley of death" and prolong CIRM's life. The Biotech Loan Task Force will meet next Tuesday in Los Angeles to hammer out loan terms and policy, aided by a $50,000 study from PricewaterhouseCoopers(here and here). The task force is scheduled to report to CIRM directors at their meeting, also next week. The biotech loan proposal is aimed at helping enterprises bridge a funding gap known as the "valley of death" -- so called because it is a time in a company's life when conventional funding is extremely difficult to find because of the financial risk involved. Results from the PricewaterhouseCoopers sketch out more details of the possible scope of the program, which is the brainchild of CIRM Chairman Robert Klein, a multimillionaire real estate investment banker who understands the power of leveraging cash. The document seems to indicate that the size of the program has been scaled down to $500 million from the $750 million figure that Klein gave us months ago. It also appears to project a "profit" of about $162 million, although it is not clear whether that figure is before or after expenses for running the loan program are accounted for. The additional funds could provide for a longer life for CIRM, which was sold to voters in 2004 as a 10-year program. However, following the election, it became clear that the program has no sunset date. It is only limited by its 10-year bond authorization. The PricewaterhouseCoopers report projects default rates in the loan program ranging from 20 percent on certain types of loans to as high as 50 percent on loans involving preclinical programs. A footnote says that based on comments by venture capitalists and venture capitalist lenders, those default rates seem "reasonable." The size of loans would range from $1 to $5 million and have an interest rate based on the prime interest rate plus two to four percent. Twenty to 25 loans would be funded annually for a total each year of about $70 million. Awards would be based on the project's "contribution to medicine" as determined by the closed-door CIRM grant review process. Both businesses and nonprofits would eligible, according to previous task force discussions. The PricewaterhouseCoopers study also mentioned objections from some of the businesses surveyed. They include proposed loan sizes (too small) and problems with aggressive repayment triggers("highly contested"). Not discussed in the study was just exactly how CIRM would run the program. The agency has no expertise in such an endeavor, aside from possibly Klein, whose professional resume includes real estate investment but not much in biotech venture capital endeavors. He has suggested much of the program could be outsourced. A March draft policy for the program says that the loan applications would evaluated by CIRM staff (presumably new hires under Klein's direction), "supported by appropriate outside consultants." 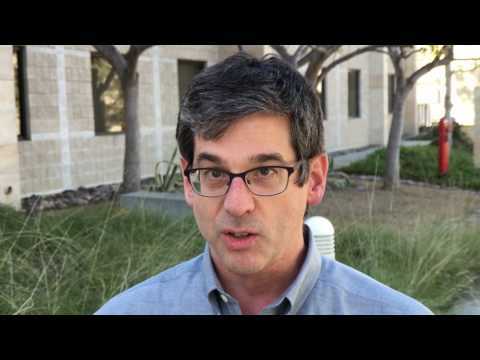 "I think the notion that all of this would be evaluated by CIRM staff is really overshooting. As you know, we're limited to 50 people in the organization. We would need to have real partnerships somewhere to be able to do this in a way that these guys would buy into as partners. I suspect that cannot be done in-house, at least with our present structure." Hiring outside consultants also raises questions involving their compensation, selection and conflicts of interests. Currently CIRM rules do not necessarily require public disclosure of the financial interests of consultants. A caveat to our readers: The PricewaterhouseCoopers study is fairly technical and opaque to readers not versed in business finance. It would have served the agency well to have provided an analysis or more context to provide greater accessibility. Nature magazine took a run at the California stem cell agency today, producing a fine overview and an editorial that warned of "cronyism" on its board of directors. The occasion for the coverage is the upcoming approval next week of $262 million in funding for stem cell lab construction, an event that is likely to trigger a number of articles about CIRM in the California media and perhaps nationally. "If $3 billion seemed like a dream four years ago, it is now a reality that is changing not only the way science is done in California, but is resonating across the US biomedical landscape." "Several episodes over the past year have highlighted an inherent problem with the CIRM's structure: the board that distributes its funding is stacked with representatives from the universities that benefit most from those disbursements. The CIRM has enacted rules to try to limit the conflicts of interest posed by this arrangement. They don't go far enough. At one meeting in January, for instance, CIRM board members from institutions that had applied for a facilities grant voted to deny one of these grants to an institution that has no representatives on the CIRM board." "For the agency to succeed, patient advocates and other public representatives must fight the tendency of the academic institutions on the board to hoard dollars. As the patient advocates grow into their roles as full partners, and with help from well-intentioned lawmakers such as (State Sen. Sheila)Kuehl, the CIRM must be coaxed into serving its most important constituency — the taxpayers of California. The roles themselves are not unusual in the world of governance, but here the stakes are exceptionally high." "...(E)ven as the agency is changing California's scientific outlook, it is also facing pressure to prove its worth to voters — and to show that it can deliver the medical and economic benefits it promised in order to convince taxpayers to fund it in the first place. Which raises the biggest question about the CIRM: will scientists be able to deliver the results it promised? This is an urgent concern for the leaders of the CIRM, because it won the hearts of California voters by saying it would produce cures for a number of debilitating diseases." Hayden discussed legislation by Kuehl, D-Santa Monica, as one of the responses to the questions about delivering on Prop. 71 campaign promises. Hayden also wrote about the recent complaints that CIRM overstated its funding role in UCSD research that has led to clinical trials and about the conflict-of-interest flap involving CIRM director John Reed. Both cases were first reported by the California Stem Cell Report, a fact that Nature did not mention, but media coverage of CIRM was incidental to the article. "...CIRM's structure has, at times, seemed to hamper its own mission. That was painfully evident at a meeting in January, when one doctor found himself begging for funding from 13 board members who were competing directly against him for money." "We're not in the 'in' crowd. So a project that was really going to go into patients was essentially triaged." "The episode is only one in a series of incidents that have raised questions about the wisdom of putting the institutions that benefit from the CIRM in charge of governing it." For those of you interested in the ambitious and unusual biotech loan program being proposed by the California stem cell agency, the topic comes up again on next Tuesday. The agency has done a good job of posting in timely fashion background material -- a $50,000 study performed by PricewaterhouseCoopers. We will have some of the highlights tomorrow, but if you can't wait, you can find the material and the agenda for the CIRM Biotech Loan Task Force here. In eight days, the California stem cell agency will give away $262 million for stem cell lab construction at 12 institutions from Sacramento to La Jolla. -- And defining "principal investigator" and his/her responsibilities re CIRM grants. Also on the agenda is the definition of "California supplier." This came up at the March ICOC meeting and is the subject of a proposed law -- AB2381 by Assemblyman Gene Mullin, D-San Mateo (see photo) -- in the California legislature. The bill would define California supplier for CIRM purposes as "any sole proprietorship, partnership, joint venture, corporation, or other business entity, the owners or policymaking officers of which are domiciled in California and whose permanent, principal office or place of business from which the supplier's trade is directed or managed is located in California." The measure is sponsored by Invitrogen and backed by the California biotech industry group, BIOCOM. A legislative staff analysis said no groups had announced their opposition. The measure is now on the Assembly floor. If it passes, it will go to the Senate. But back to the Oversight Committee meeting. The agency has not yet posted any background documents for the session, which is par for the course. We will probably see some of them on the CIRM web site late this week or early next. But as we have remarked in the past, without adequate information well ahead of the meeting, it is impossible for the public or interested parties to comment properly or even decide whether to attend the meeting. This week, the agency does have some justification for failing to post the documents in a timely fashion. Preparation for consideration of the lab grant awards is undoubtedly consuming virtually all the efforts of CIRM's tiny staff. Were Some Scientists' Concerns about CIRM's Claims Worthy of Note? If the California stem cell agency had its druthers, no one would know that there is a dissenting view about its role in the San Diego research that led to clinical trials on a treatment for a blood disorder. The $3 billion agency has stoutly defended its claim and bolstered its statement with additional evidence, following questions by the California Stem Cell Report. However, the agency would have preferred that no complaints were publicly raised and nothing written about them if they were. We first reported the matter on April 15. We are writing today not to rehash the substance of the complaints, but to share with our readers some of the reasoning behind our decision to report the story and to discuss a few of the nuances of how the media work. CIRM's position is that our item concerning CIRM's original statement relied on a single, anonymous source and would not have been carried by most newspapers. They are partially correct on that point. We did use one anonymous source – "at least one well-regarded, California stem cell researcher" was the phrasing. We had two, but the other one did not go into the details of the issue. We did not want to characterize both as having identical positions. The item also referred to "concerns among some stem cell scientists." But because of the use of a single, anonymous source, many newspapers would not have carried the story as matter of policy. Anonymous sources usually have an agenda, sometimes one that is hard to detect. Anonymity protects the source from having to take public responsibility for his or her words. We weighed the possibility of not writing about the concerns of these scientists, but decided to proceed. The scientists' position was supported by evidence; it was not just one person's opinion. If these two were concerned, undoubtedly many others were as well. There is an axiom in business that for every one complaining customer, nine more exist who are unhappy but who are silent. That axiom seems to apply in this case. Finally, California researchers are loath to publicly criticize CIRM. Who wants to offend the three-billion-pound gorilla and risk losing its financial support? The question appeared significant as a part of the culture of science. It dealt with the credibility of the agency. CIRM's role was regarded as so important that it merited enthusiastic comment from Gov. Arnold Schwarzenegger -- a move presumably promoted by CIRM. The issue also went to the more general question of hype involving embryonic stem cell research. The agency itself, stem cell research advocates and opponents all have warned repeatedly about dangers of exaggeration and promising too much in this highly charged field. Since the story has appeared, we have learned of more scientists who agree with the essential points made by our sources. "They (CIRM) did overstate it and ... it is embarrassing that the Governor's office picked this up as a first example of CIRM's success. It would have been much better to say that CIRM is proud to be associated with such an outstanding success and to feature something about the trainee." "It does all of us a disservice to pretend that CIRM was responsible for the initiation of a clinical trial when every scientist and biotech manager knows that it is simply untrue." As mentioned earlier, many newspapers would not have carried the story because of policies regarding the use of anonymous sources. Over decades of experience as a newspaper editor and reporter, we have seen those policies, along with others, paralyze newspapers. They know a story is factually accurate, but because people are afraid to speak up and the subjects of stories stonewall and delay, the stories never run. As a result, the public debate suffers. In the case of the CIRM statement, however, the story would not have reached that level. The subject would not have been pursued by mainstream newspapers because it would have have been deemed too arcane and picayune for the general public. However, the issues raised by our sources are important to our tiny, but deeply involved band of readers, who range from Korea to the United Kingdom. The California Stem Cell Report is a blog and fundamentally a matter of the opinion of yours truly. Many blogs are nothing more than opinion. Over the years, however, we have taken to reporting stem cell news in a more traditional fashion because of the lack of hard information in the media about CIRM affairs. We have also engaged in analysis and commented negatively and positively about how CIRM is spending $3 billion of public money, virtually free from normal governmental oversight. It is a unique endeavor that has had a far-reaching and positive impact on the national and international stem cell scene. We think California's unprecedented program is worthy of considerable attention. We will continue to offer a home to those who are willing to make thoughtful comments on its performance – even anonymously. We have added The Niche and Nature Reports Stem Cells to the links on this Web site, a long overdue addition. They are very much worth reading. We have also updated the link to Consumer Watchdog(formerly known as the Foundation for Taxpayer and Consumer Rights). Some of you may have wondered about the "Veterans for Cures" effort by Robert Klein's private advocacy group mentioned in the item below. 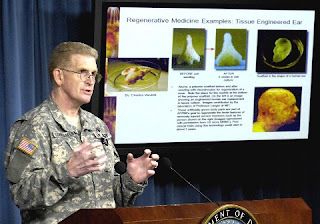 Here is what it is likely linked to – a $250 million military effort to grow body parts or at least the thinking behind it. "It's like baking a cake." So far none of the military cash is slated to go to California, but that could change as researchers here see the potential for grant funding. Americans for Cures, the private stem cell activist group tied to the chairman of California's governmental stem cell agency, is embarking on a new, 50-state strategy to beef up efforts to "pass pro-cures legislation and defeat anti-cures legislation." The advocacy group, which says that it does not perform lobbying, says it is setting up affiliates in each state and wants to hear from persons who want to help out (write inform@americansforcures.org). Complete details for the national effort are being worked out, but Americans for Cures plans to create a Web page for each state affiliate (here is a sample) along with a rundown on the status of research and that state's laws. The affiliate would be "a single point of contact in each state, and may be one person or a group. That point will be the ‘network hub' for stem cell advocacy, to keep us informed, and to organize in the affiliate state," the co-directors of the group, Amy Daly and Constance McKee, said in an email to their supporters. The group is also planning a "Students for Cures" group and a "Veterans for Cures" group. The chairman of CIRM, Robert Klein, is also president of Americans for Cures, which operates out of the offices of his real estate investment banking firm. It is unusual for a top state official to lead a group that solicits possibly tax-deductible contributions and attempts to influence government policy and legislation in the same area as his agency. More than one critic has called on him to resign from one of the posts. "Lamentable in the extreme" – that's how the San Diego Union-Tribune characterizes the opposition of glider airplane fans to the $115 million stem cell research facility proposed in La Jolla. The lab is being planned by the San Diego Consortium for Regenerative Medicine, which wants $50 million from the California stem cell agency to help build it. "It would be a tragedy of enormous proportions if glider advocates succeeded in snuffing out this promising initiative." It should be noted that embryonic stem cell research is a hot issue in the San Diego area, which has a strong, conservative element. The newspaper's editorial on behalf of the consortium did not contain the word "embryonic," which we assume is deliberate, although the newspaper has supported embryonic stem cell research in the past. "The Associated Glider Clubs of Southern California and the Torrey Pines Soaring Council are attempting to kill the project because it would be built on North Torrey Pines Road near the Torrey Pines Gliderport(see photos from the Associated Glider Clubs). The unpaved airstrip, on land owned by UCSD, is used intermittently by glider pilots, while a larger number of hang-gliders use the nearby cliffs to launch into flight over the Pacific. "The new research lab, about 60 feet tall, would have no impact on the hang-gliders. But there is fierce disagreement over whether it would interfere with conventional glider operations, which are relatively few and scattered throughout the year. "Opponents claim the new building would force closure of the gliderport, an assertion they also made unsuccessfully in their bid to prevent UCSD from building a 14-story dormitory on a nearby parcel. Supporters of the lab point out, however, that it would be no taller than the surrounding eucalyptus trees, which glider pilots have been negotiating for years. An environmental impact report compiled for UCSD concludes the lab would not prompt the end of glider operations, but that it could require pilots to alter their flight patterns. In the end, both the California Coasstal Commission and Caltrans' aeronautic division must issue permits for the lab's construction." "Some speakers in opposition to the location of the stem cell facility not only mentioned their vote for the stem cell initiative in 2004 but also their personal interest in the anticipated benefits of such research due to their own, or a relative's illness, which could perhaps be cured. "UCSD owns many other nearby sections of land that would be even more suitable for the stem cell facility, while not resulting in the destruction of a world-renowned and historic aviation facility used by Charles Lindbergh and many other aviation pioneers." The Associated Press files stories every day to 1,700 newspapers and 5,000 radio and television outlets in the United States. So when it reports on California stem cell news, the stories have an impact – one that goes well beyond, shall we say, the surf-scrubbed sands of La Jolla. The case in point is an article by reporter Terri Somers of the San Diego Union-Tribune, the most diligent biotech reporter in the state. She writes more often on biotech and stem cell research than any other newspaper reporter in the state. But her stories usually are only seen – at least the print versions -- in San Diego, far from the key East Coast news axis of New York and Washington, D.C. However, she wrote Sunday about a $115 million stem cell research complex proposed in La Jolla – a structure that could be funded with as much as $50 million from the California stem cell agency. The AP decided to pick up the story – rewrite it in a much shorter version, but without crediting Somers or the San Diego paper – a standard and legal practice for the news service. The AP then sent the story out across a good portion of the globe. It appeared on websites of more than 100 news outlets ranging from Dallas to the UK. Time magazine carried it as did ABC, CBS, Forbes, the Washington Times, an Arizona TV station, a Florida newspaper, CTV in Canada, FoxNews, not to mention the Chippewa Herald in Wisconsin. The AP missed the much larger story – that the California stem cell agency is about to set off a $758 million, stem-cell-lab-building spree, the likes of which have never been seen before in this country. But that is not to disrespect The AP, but to explain a little bit about how news works. It takes a lot to push a story out into the national or international market. It also takes luck and receptive reporters and editors. The California stem cell agency, however, has a chance to make major headlines come May 6 when it approves a couple hundred millions of dollars to help build those nearly three-quarter-of-a-billion dollars in labs. But CIRM can only do it by starting to prime the news pump now, alerting key reporters and editors and providing them in advance with the background needed to make sense out of a somewhat complex process: Photos, drawings, map and chart material, good quotes (not the gobbledygook that sometimes comes out of the mouths of some top CIRM officials) and referrals to knowledgeable and friendly third party experts who can explain the significance of the effort in language that readers can understand. In California, the mainstream media has so far successfully largely ignored the lab grant program, with the notable exception of Somers. Ironically, the San Diego project, while quite substantial, is not the largest. Stanford has proposed a $200 million stem cell research center. The San Francisco Bay area altogether could see something like $400 million in stem cell lab construction if the visions dancing in the heads of the scientists materialize. But nary a peep about the magnitude of the program has been seen in the mainstream media in Northern California. The Consumer Watchdog group and its stem cell project director, John M. Simpson, have won another $100,000 grant to continue monitoring the California stem cell agency and to expand their efforts into other states. The Nathan Cummings Foundation is providing the funding for the Consumer Watchdog effort for the third consecutive year, Simpson said. The latest grant, however, calls for Simpson (see photo) to move beyond California and take a crack at stem cell research efforts in other states as well as publicly funded medical research on a national level. The grant application said Consumer Watchdog combines "policy research and focused legal and media advocacy to ensure transparency standards, conflict of interest prohibitions, public benefit requirements and other safeguards are in place to protect consumer interests and to maximize consumer access to medical advances resulting from public funding." Simpson, a former top level newspaper editor, ranks among the most regular attendees at CIRM meetings and has a wide range of contacts in the California stem cell community. "I'm glad you're here.... I thank him for his hard work and contribution to what we're doing toward the mission. I think you're an important element. We need the oversight." Remember the case of Korean stem cell scientist Kwang Yul Cha versus a California physician? Cha sued Bruce Flamm, a Kaiser physician and faculty member at UC Irvine, for libel, contending that Flamm was engaged in a personal vendetta. The lawsuit involved published criticism by Flamm of a 2001 article by Cha and two others in the Journal of Reproductive Medicine concerning "distant" prayer and IVF success rates. "Today's ruling is a victory for science and freedom of speech. Scientists must be allowed to question bizarre claims and correct errors. "Cha's mysterious study was designed and allegedly conducted by a man who turned out to be a criminal with a 20-year history of fraud. A criminal who steals the identities of dead children to obtain bank loans and passports is not a trustworthy source of research data. Cha could have simply admitted this obvious fact but instead he hired Beverly Hills lawyers to punish me for voicing my opinions." Cha also surfaced in connection with the California stem cell agency when a nonprofit subsidiary of his organization won a research grant from CIRM. After the grant was approved, the media reported its links to Cha along with news about the controversy surrounding some of Cha's research. Last October, Cha's group withdrew its application for the CIRM grant. The folks in San Diego call it a "collaboratory" – a $115 million structure to be built under the auspices of four of the world's stem cell research powerhouses. They are the Scripps, Burnham and Salk institutes and the University of California campus at San Diego – all united under the banner of the San Diego Consortium for Regenerative Medicine. Reporter Terri Somers of the San Diego Union-Tribune Sunday took a front-page look at the project (see drawing), which is seeking $50 million in construction funding from the California stem cell agency. It is scheduled to make decisions in early May on grant applications from throughout California that would led to $758 million in stem cell lab construction. "It took three men the scientists fondly refer to as 'the town elders' – real estate mogul Malin Burnham, Padres owner John Moores and Qualcomm founder Irwin Jacobs – to help it become a reality. "'Without their pressure, encouragement and support, (the consortium) wouldn't have happened,' said Fred Gage, a stem cell researcher at Salk." "An out-of-state philanthropist, whom the consortium declined to identify, has pledged to donate $30 million, with $10 million paid upfront. The remainder would be in $2 million annual increments." "The difficulties arise from every institution having its own culture. Smaller institutes relish their autonomy and operating freedom in contrast to larger, more bureaucratic institutions, such as UCSD. "Issues ranging from who will be the boss to fear of losing donations, or disputes over who will own scientific discoveries, often kill such partnerships before they start, said Zach Hall, founding president of the California Institute for Regenerative Medicine. "'It's a testament to the vitality and sense of community that is in San Diego that this has happened,' said Hall, who is now retired. Three years ago, when putting together the strategic plan for the state stem cell institute, Hall listed fostering collaboration as a top goal. "'For these San Diego institutes to overcome all the obstacles is a real payoff for the long-term vision that San Diego had years ago in setting aside some space for the development of scientific activities,' he said." CIRM scientific reviewers ranked the project at the top of the 12 lab grant applications. Facilities reviewers ranked it No. 4. However, that does not matter much to some folks who are not pleased about the project. They say it would mean the end to the Torrey Pines Gliderport, which is in the National Register of Historic Places. A meeting is scheduled for Monday night at which some of the concerns of the glider folks are expected to be aired. In Napa, some 600 miles to the north, on Wednesday night, the state Historical Resources Commission will consider whether to expand the borders of the Gliderport. Somers story picked up some reader reaction on the Internet, which can be found at the end of her story or here. One reader complained about "greedy scientists fighting over patents." Another decried "welfare for professionals in these lean financial times." One reader suggested the lab be located inland in El Cajon to save money. Responded another reader, "All the Right Wing Christian Coalition fanatics in that town would chase them out. EL Cajon is only known for strip bars, meth dens and a nut case mayor." The American for Cures Foundation, whose president, Robert Klein, is chairman of the $3 billion California stem cell agency, has taken issue with our description of it as a lobbying group. Amy Daly, executive director of the group, says that it does not lobby and that the California Stem Cell Report is reporting inaccurately. "You might be interested in the Supreme Court’s narrow definition of lobbying. Clearly that is not what we do. "'The U.S. Supreme Court has rejected congressional efforts to regulate grassroots communications as a form of 'lobbying,' on constitutional grounds. In 1953, in a suit involving a congressional resolution authorizing a committee to investigate 'all lobbying activities intended to influence, encourage, promote, or retard legislation,' the Supreme Court narrowly construed 'lobbying activities' to mean only 'direct' lobbying (which the Court described as 'representations made directly to the Congress, its members, or its committees'), and rejected a broader interpretation of 'lobbying' out of First Amendment concerns. [United States v. Rumely, 345 U.S. 41 (1953).]" Americans for Cures is obviously relying on a narrow legal definition of the word lobbying. However, lobbying has broader meaning. Merriam Webster's Third Unabridged Dictionary notes that lobbying includes conducting "activities (as engaging in personal contacts or the dissemination of information) with the objective of influencing public officials." The legal definition of lobbying is of great importance to Americans for Cures. Too much lobbying could lead to a loss of its nonprofit status, according to the Nonprofitexpert.com web site. Nonetheless Americans for Cures makes it clear on its web site that its goals include influencing public policy, declaring that it seeks to help "encourage" decision-makers to fund stem cell research. Indeed, Daly appeared briefly before the CIRM Oversight Committee in January and addressed the question of how the committee should proceed in handling an attempt to overturn a negative decision on a grant application. The group's recent conference in San Francisco promised attendees that they would be taught how "key federal and state programs are funded, and what they can do to make their voices heard," including "specific actions" that advocates "can take to accelerate research and cures." The California stem cell agency is defending its statement last week concerning clinical trials stemming from agency-funded research and denies that it put out a press release on the subject. The comment came from Don Gibbons, chief communications officer for CIRM, in a comment on the Consumer Watchdog web site. Gibbons' comment was directed at the Consumer Watchdog news release that said CIRM funding for the research was trivial (see item below). "Anyone who truly understands how research labs function would not call the CIRM training grant a trivial contribution." "Also, it should be noted that CIRM did not write a press release or send anything to reporters." The document put out by CIRM can be found on the "press room" section of the agency's website under 2008 "press releases." The California stem cell agency is "too eager to claim immediate results" from the hundreds of millions of dollars in research that it is funding, the Consumer Watchdog group said today. "CIRM is jumping on the bandwagon claiming credit for contributions that were at best rather trivial." Simpson was commenting on the report below – "CIRM Exaggerates Role..."
"CIRM is too eager to claim immediate results. Certainly we’ll see great benefit as the result of stem cell research, but this political manipulation and hype does a tremendous disservice to all who believe in the value of this research." "Stem cell agency officials repeatedly say, ‘It’s all about the science. If only that were true. More often than not — as in this case — it’s all about appearances, hype and claiming credit." Jesse Reynolds of the Center for Genetics and Society has posted a comment on the item below. The headline last week from the California stem cell agency read: "First Clinical Trial Begins for a Therapy Enabled By CIRM Funding." "Stem cell research, funded by the California Institute for Regenerative Medicine (CIRM), led to the discovery of this new treatment." CIRM Chairman Robert Klein touted "the CIRM model designed to accelerate the quest for cures." The news also received attention in some newspapers, including the San Diego Union-Tribune. But at least one well-regarded, California stem cell researcher thinks the agency engaged in exaggeration – perhaps even "fraud" – in making the claims about the role of its funding. "It appears as though the CIRM has wrongly taken credit for supporting work published by one of its funded grantees and/or the funded grantee has wrongly given credit to CIRM for supporting their research. In either case, the CIRM’s press release on the subject is self-serving and misleading, at best. The press and hESC stem cell research supporters have already latched on to this false claim by CIRM and, as a result, are mistakenly touting CIRM’s effectiveness in the field." "Researchers at the University of California, San Diego, used a (CIRM) SEED grant from the California Institute for Regenerative Medicine to conduct stem-cell research that verified a suspect gene mutation was by itself necessary and sufficient to cause a class of severe blood diseases called myeloproliferative disorders." The CIRM statement, which is carried under the press release section of its web site, was modified following queries by the California Stem Cell Report. The release now says that a CIRM training grant was also involved. The current version of the news release, however, does not mention that it was altered from the original. The initial version of the CIRM statement reportedly triggered concerns among some stem cell scientists and led to one contacting the California Stem Cell Report. "The press release 'First Clinical Trial Begins for a Therapy Enabled By CIRM Funding' states that 'Researchers at the University of California, San Diego, used a SEED grant from the California Institute for Regenerative Medicine to conduct stem-cell research …'. The quoted UCSD press release describes the work as involving 'human cord blood stem cells … to find whether over-expression of a single gene could drive, or initiate, the disease … that looked like PV' and says that the '…work [was] supported in part by grants from the California Institute for Regenerative Medicine…'. Both items in the UCSD press release are corroborated by inspection of the Cancer Stem article cited. "Thus, any claim that the SEED grant monies were used to support the published research is either in error, an over-exaggeration, or, worse, fraud. "CIRM needs to investigate which of these possibilities is the correct one, issue a retraction of its claim, and ensure that erroneous claims are no longer proffered by CIRM or its grantees." "This work was supported in part by grants from the California Institute for Regenerative Medicine and the Mizrahi Family Foundation to E.K., C.B., and C.H.M.J., the National Institutes of Health (K23HL04409) to J.G., and an unrestricted gift from Targe-Gen Inc."
"Jamieson has had a post doc funded by a CIRM training grant since July 2006, so our funds helped every stage of this work through his salary. The SEED grant to Jamieson was approved in February (2007) and the Notice of Grant Award went to the institution in July. It is typical for institutions to forward fund after an NGA pending arrival of the first check, which happened in September. The journal asked for additional experiments after the initial submission of the paper, and the Seed grant helped complete those added experiments that resulted in final publication. "The SEED grant does require that Jamieson use embryonic stem cells at some point during the two year grant cycle, but it also funds many other aspects of the science. Our scientific strategic plan does not call for just funding stem cell work directly; it calls for accelerating the field as a whole." Gibbons later said that UCSD provided no advance funding for the CIRM grant, which was not signed off by UCSD until Aug. 31, 2007, according to another source. Jamieson's article was first submitted for publication Sept. 19, 2007, according to the source. We asked Jamieson if she had any comment on the CIRM news release issue. She simply referred us to the statement contained in the acknowledgment section of her Cancer Cell article. How Many Hats for Klein? The Center for Genetics and Society is tackling Robert Klein and his "incompatible" roles as head of a $3 billion, state-of-California stem cell enterprise and his leadership of a private group that attempts to influence politicians and government leaders concerning stem cell research. The conflicting roles are not new. They have existed since 2004 but have attracted almost no attention in the mainstream media. Klein (see photo) is both chairman of the California Institute for Regenerative Medicine (the state group) and president of Americans for Cures, which is headquartered in the office of his real estate investment business. "Imagine the response if the appointed head of California’s Department of Transportation was also the leader of a highway-building advocacy group that issued statements praising the department head, attacked his or her political opponents, raised funds for allies, spread misinformation about the benefits of highways, and compiled arguments against mass transit and bicycling." "Not only is (Klein) juggling two incompatible roles - stem cell booster and public servant - but under his guidance, his advocacy organization has attacked his political opponents, praised his own work, and spread misleading information. " "After the ballot measure passed in November 2004, Klein tried to wear both hats, those of booster and of public servant. 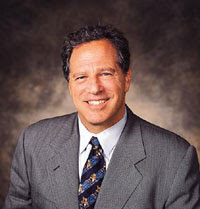 The initiative campaign transformed into the advocacy group California Research and Cures Coalition, which remained headed by Klein and operated out of his business office in Palo Alto. In response to public criticism, he quickly resigned from the organization. "But Klein couldn't resist politicking for his cause. In 2006, a new group appeared, Americans for Stem Cell Therapies and Cures, with Klein again at the helm. Its first action was to issue a public letter smearing Sen. Deborah Ortiz (D-Sacramento) on the eve of her primary election for Secretary of State. She had been the most vocal supporter of the stem cell initiative in the state house, but was now backing legislation to reform the agency. As a taxable lobbying group, Klein's outfit raised also raised money for his political allies in the fall 2006 general election. "Now, Americans for Stem Cell Therapies has assumed the mantle of both the California Research and Cures Coalition and Americans for Stem Cell Therapies and Cures. Two months ago, it issued a press release backing one of Klein's pet projects at the CIRM. What's more, it is extensively downplaying the potential of a new alternative to the use of embryos in stem cell research - an alternative whose ascendance would call into question the relevancy of CIRM and its use of taxpayer dollars during a time of budget crunching." The private lobbying group of the chairman of the California stem cell agency is holding a two-day session this Saturday and Sunday in San Francisco and promises to help advocates learn more about how to make their voices heard. The group is the Americans for Cures Foundation, whose president is Robert Klein, who also serves as chair of the $3 billion state of California Institute for Regenerative Medicine. It is unusual for the head of a state agency to also have his own advocacy group in the same field, as we have noted previously. Klein and Alan Trounson, president of CIRM, are both scheduled to speak along with a number of scientists as well as advocacy experts. The session is reasonably priced -- $100 for both days, If that is too much, it's a good bet that a call to the group could lead to assistance. The agenda is heavily loaded towards hands-on advocacy and selling the message. We suspect it would be a good value for those who want to learn more about telling the stem cell story. "The FDA is mainly worried that the animal tests used to assess safety problems aren’t good enough and that they won’t know until too late that the transplanted cells are causing harm rather than benefit." It is a good bet that the California perspective will be heard at the meeting, both from CIRM and at least some of the state's biotech firms. Money Up Front for CIRM Lab Dough? Looking for more on the Calfornia stem cell agency's lab grant program -- "the largest stem cell infrastructure component in the world?" Take a look at an item by John M. Simpson of the Consumer Watchdog group, once known as the Foundation for Taxpayer and Consumer Rights. He quotes Alan Trounson, CIRM president, on the size of the effort, which is now set at about $758 million, including matching funds. Simpson also provides a list of the scores for each of the 12 applicants, with Stanford (my father and brother's alma mater) at 95 and UCLA (my alma mater) at 73. Should the president of the California stem cell agency, with roughly 26 employees, be paid $300,000 more annually than the director of the National Institutes of Health, which has nearly 19,000 staffers? "CIRM's salaries are ridiculously out of whack." Story Landis, Director, National Institute of Neurological Disorders and Strokes: $260,000"
Simpson's figures come via reporter Jim Downing of The Sacramento Bee, who obtained them from the NIH. Simpson compares them to the $490,000 salary earned by CIRM President Alan Trounson and the $310,000 being paid to Marie Csete, recently hired as CIRM's chief scientific officer. The salaries have recently come under increased fire because of the state's budget crisis. Salaries of public servants are always lightning rods, even in the best of times. They are far easier for the media and the public to understand than some of the financial inequities created by Prop. 13, the property tax initiative approved years ago and that now, in many ways, cripples local government in California. The CIRM salaries are also dwarfed by the pay of some physicians within the University of California system, who earn more than $750,000 a year. And they are tiny compared to the wages earned by some of the men at UC who supervise boys running and throwing balls. Their pay can approach $2 million annually. California's unprecedented $758 million stem cell lab construction program completed another chapter this weekend, but fell $48 million short of fulfilling the desires of 12 universities and research institutions. All of the 12 saw their requests cut by millions as their applications cleared CIRM's Facilities Working Group during a two-day meeting in San Francisco. None was eliminated, however, and none is likely to be eliminated when the grants come up for final action by CIRM directors (the Oversight Committee) May 6 and 7. CIRM directors have never reversed a recommendation for funding made by their working groups. The 12 California institutions had sought $336 million from CIRM. The Facilities Working Group approved $289 million, compared to the $262 million budgeted by CIRM. The stem cell lab construction program proposed by applicants totals $832 million, including matching funds. CIRM has proposed funding that would total $758 million, including matching funds. CIRM said in a news release that the Oversight Committee will address at its May meeting the difference between the $289 million approved this weekend and the $262 million budgeted. John M. Simpson, stem cell project director for Consumer Watchdog (formerly known as the Foundation for Taxpayer and Consumer Rights), attended the facilities meeting. In an email, he said the main question was how to cut money from the requests. "At (CIRM President Alan) Trounson's suggestion the FWG (Facilities Working Group) score, which was on a scale of 100, was treated as a percentage, so for example, Stanford with a score of 95 will get 95% percent of its request. Using this method, they cut $47 million. "Interestingly most of the applicants there seemed to think this could work. Some had been worried that entire programs would be cut." The Oversight Committee decisions on the funding will ultimately be made by only a handful of its 29 members, perhaps as few as eight or less. The reason is that about 18 of the directors have financial ties to institutions seeking the taxpayer funds. Those directors will be barred by law from even discussing the issue. The CIRM news release touted the economic benefits of the construction program. Marie Csete, the agency's new chief scientific officer, said the grants will help to build "optimal facilities for our scientists and will extend California's leadership in stem cell science." As far as we can tell, no mainstream news media carried reports on the weekend action. The agency continues to receive little notice from California newspapers and even less from the electronic media. The Facilities Group met in public session, as it did on a previous round of lab grants. However, scientific reviews of the programs were conducted behind closed doors by scientific reviewers who do not publicly disclose any potential conflicts of interest. Legislation aimed at California's unprecedented $3 billion stem cell research effort this week easily cleared its first hurdle -- as expected. The measure by Sen. Sheila Kuehl, D-Santa Monica, now moves on the state Senate Judiciary Committee, where it is likely to win approval as well. Kuehl is part of the Senate leadership and chair of the Senate Health Committee, which unanimously approved her bill, SB1565, on an 11-0 vote. 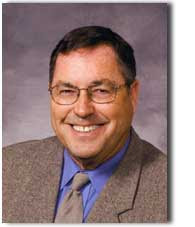 Co-author of the bill is Republican George Runner of Antelope Valley, who is part of the GOP Senate leadership. The legislation is designed to provide affordable access to therapies developed with taxpayer funds and correct problems associated with conflicts of interest at CIRM. "...that, given CIRM/ICOC's unique formation as a public entity, the level of public investment--$3 billion in bond funds that will amount to a General Fund expenditure of $6 billion (including interest), and the close-knit nature of the scientific community, CIRM and the ICOC should be thoroughly scrutinized by an independent body to ensure the highest level of public trust and confidence." CIRM has opposed similar legislation in the past, but according to John M. Simpson, stem cell project director for Consumer Watchdog, the group formerly known as the Foundation for Taxpayer and Consumer Rights, CIRM is now taking a more measured stand. "CIRM's Interim Director of Legislative Relations Sue North told the Senate Health Committee, 'We have no formal position on the bill and hope to resolve any differences administratively.'" Simpson opined on the Consumer Watchdog blog that the CIRM position marked an improvement from the days when CIRM Chairman Robert Klein declared that one legislator who was also a longtime supporter of stem cell researcher was an "ongoing threat" to CIRM. "We need a provision that allows the state attorney general to intervene if drugs or therapies funded by the stem cell agency are priced unreasonably. We've seen too many cases where companies benefit from publicly funded research and then set prices at obscene levels. They act like socialists when seeking research funding but are greedy capitalists when there are profits on the table." The California stem cell agency has prepared a draft of guidelines for reducing risk in connection with the donation of human eggs for stem cell research and is seeking comments on them from the research community and others. The draft can be found here. A related document concerning the history of the guidelines and their purpose can be found here. "General feasibility considerations with the draft guidelines."